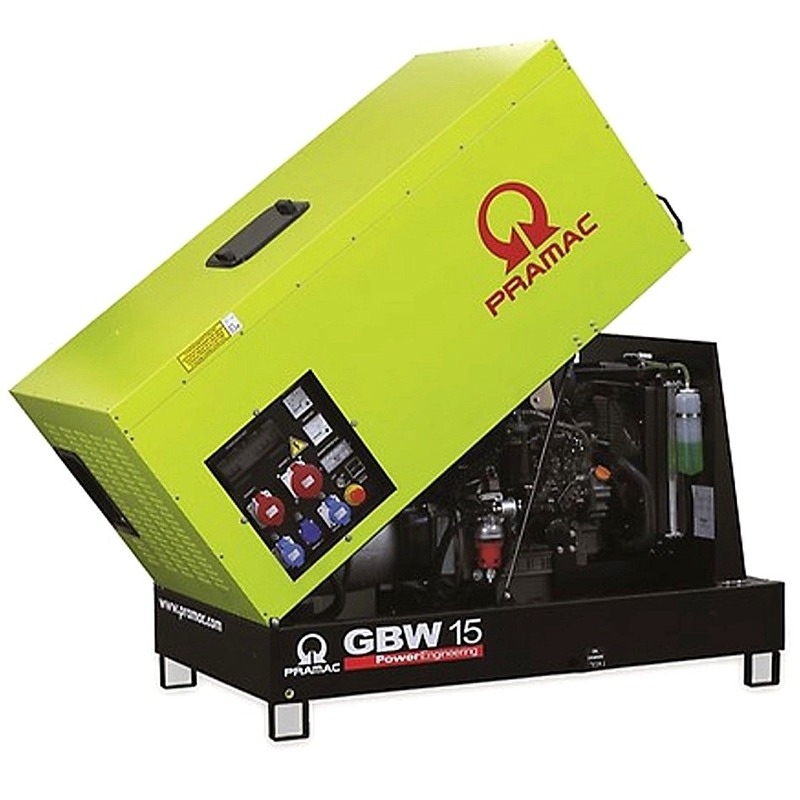 • Single piece hinged soundproof canopy equipped with pneumatic arms and handles to lift up the canopy allowing easy access to the genset for maintenance purposes. • Noise attenuation thanks to soundproofing material (polyurethane foam) and efficient residential silencer placed inside the canopy. • Start/stop selector switch with key (Glow plugs preheating function also included). The E1S/4 series includes three-phase 4 poles alternators with brushes and compound regulation. Mechanical structure Robust mechanical structure which permits easy access to the connections and components during routine maintenance check-ups. Voltage accuracy: ± 4% from no load to full load, cosÏ• = 0.8 at constant rotation speed. Output voltage wave form: The low harmonic content (<5%) allows supplying any type of load, including distorting loads. Short circuit current: In case of short circuit the permanent current exceeds rated current by three times, ensuring the correct operation of protections. Overload: 10% overload for one hour every 6 hours is normally accepted. Short overloads can be very high (three times the rated current). Asynchronous motors starting: 1 HP per KVA of the generator can be started.